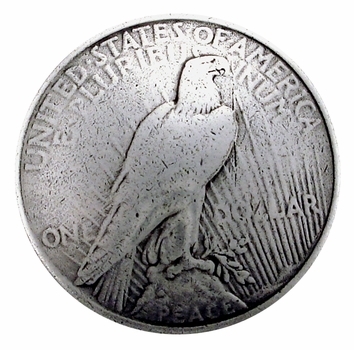 BS-9238B EAGLE SILVER DOLLAR CONCHO REPRODUCTION Screwback sterling silver plated shows American Eagle on obverse side of Concho just like original coin Size 1 1/2". Add to cart or call Toll Free to order: 1-888-692-3587. Chicago Screw Back. No sales tax unless shipped to California.